Wallace "Wally" L. Babbitt, 86, of North Dighton passed away peacefully on Thursday November 29, 2018, surrounded by his loving family. He was the beloved husband of Beatrice (Carlos) Babbitt with whom he shared 55 years of marriage. Born in Dighton, he was the son of the late Lester and Madeline (Babbitt) Babbitt. Wally’s greatest passion was farming. 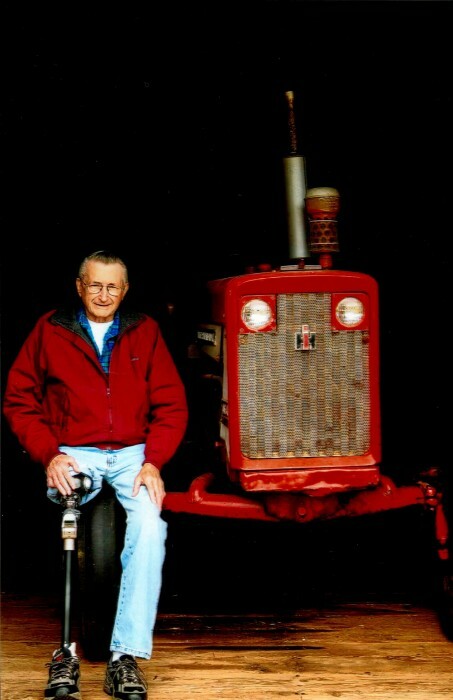 He was a farmer for most of his life taking pride in his crops that he produced and also bailing hay. Wally could always be seen on his tractor in a field. He also worked at Bloom Bus as a mechanic. He is survived by his 4 children; Leonard Babbitt and his wife Sharon of Taunton, Joyce Babbitt, Steven Babbitt and Nancy McCracken of North Dighton. Stepfather of Debra Hayes of Taunton. Grandfather of Nicholas, Samantha, Tyler, Madison, Garret and Taylor. Brother of the late Barbara Babbitt.